We had a solid group at the Inner Strength Tournament in Halifax on the weekend. Big congratulations to Chase and Cole Scantlebury who both fought extremely well in a very tough division winning gold and bronze respectively. 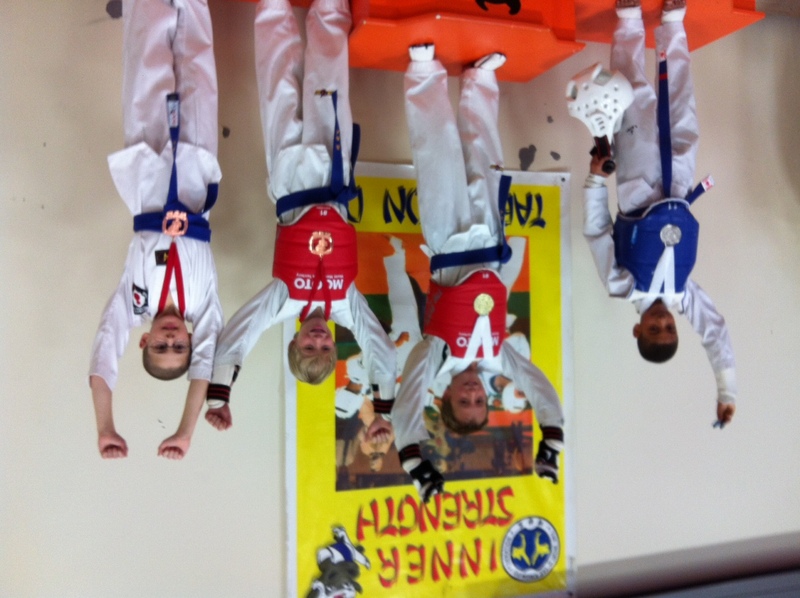 Master Beaton’s students did very well too with Kathryn taking gold, Kallie and Madi both taking silver. PEI was also able to help out with the refereeing and judging with Mandy Li and Harvey Mitchell officiating. Thanks to both of you for doing such a great job as always. There will be more tournaments coming up both on the Island and in the Maritimes. Please let us know if you are interested in attending any of them. the twins would love to attend more tournaments! just let me know when and where.